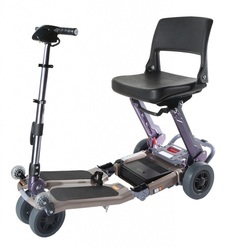 ​The mobility scooter is one of the most popular mobility aids today. Each scooter manufacturer offers a variety of details that can help those with limited mobility maintain and in some cases achieve much of their independence back with many scooter users found that they can do much more than they have in years thanks to their new-found increased mobility. This shows you Medium scooters options. These are great mid range scooters. Do you need a scooter and dont have the necessary funds. Please Click Here and Download a grant application form.